College Prep 360 students find it easy to write outstanding college applications because we help them become outstanding people. It’s spring: Juniors: visit colleges, refine college list, finalize summer plans, take SAT/ACT, APs and SAT IIs, ask for recs. Seniors: put down a deposit at your future college--and celebrate your graduation! 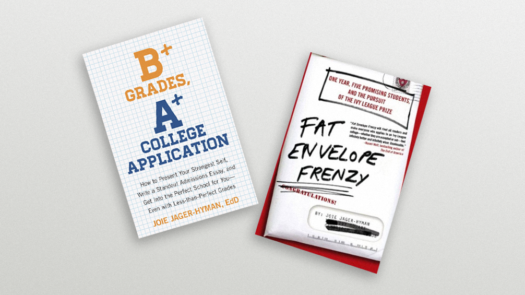 We literally wrote the books on college admissions and presenting your best self. We are authors, educators, writers, doctors and experts in our fields. Sign up for our newsletter and get access to our guides.